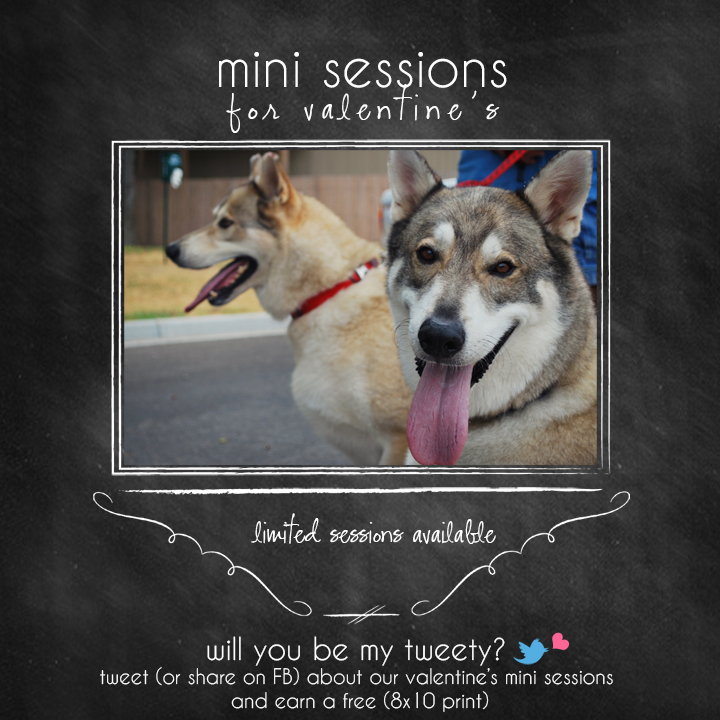 mini sessions for those special 4 legged furry babies in your life! Sessions are 30 minutes long; photographer provides cookies, toys and fun for you and your pet. 1-2 dog limit at your choice of location. Only booking a limited number of sessions so contact clarkestudio photography TODAY! Also share the above image on FB or twitter and get a *FREE* 8×10 with your session!